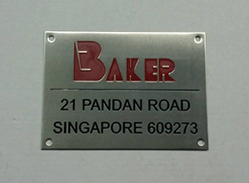 We are a name plate printing and silk screen printing company. Our company is located in Bandar Baru Permas Jaya, Plentong, Johor and Singapore. 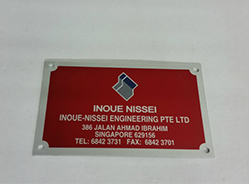 Our products include inkjet printing, banner, signage, machine panels, name plates information & graphic plates, labels, memorial plaques, etc. 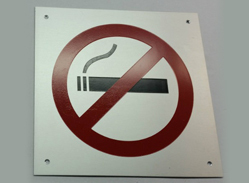 We specialized in ultra-image anodized aluminium. It is able to transfer colored picture, multi-color object onto anodized aluminium. Therefore, the image will not fade or be removed even after many years. Besides that, it is also highly resistant to Solvent, Scratch and Ultra-violet light. Newspaper cutting or certificate can be preserved by transferring the content onto the anodized aluminium and put out for display. For silk screen printing, we are experienced too. What you have to do is pass your image for us, and we can convert whatever files type you have for the better output. We provide you quality products, excellent service, and best price. If you have any question, please do not hesitate to call us. You can always find a solution with us.